Almost any day of the summer, you can count on seeing a wedding, a baby shower, a corporate party or another private event nestled into one of our spectacular venues at York Street. In fact, on most days, you’ll see more than one! Luckily enough, despite the fact that we have been booking summer events for over a year, a handful of excellent summer dates have opened up. And since the Gardens will be at their lushest and most colorful, we’d love to fill them up with YOUR special moments and celebrations! On select dates June-August, you can save up to 25 percent off your facility rental fee when you book a new event. 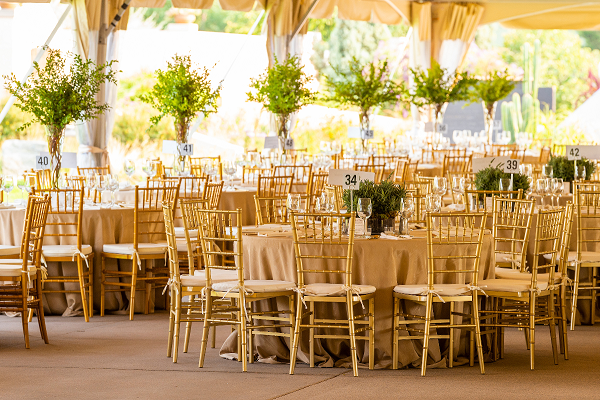 Whether you are hosting an intimate, small-group gathering or an epic party for a lengthy guest list, we offer indoor and outdoor venues with both daytime and evening availability. These dates will disappear quickly, so act fast to host your event at one of the most coveted venues in the region. Surrounded by the horticultural splendor of the Gardens at their peak, your guests will cherish the memories of your event for a lifetime. Offer applies to new bookings only. Some exclusions apply. Cannot be combined with any other discounts. Do you have a room for Saturday May 18th?